It was the grand opening of the Manos de Oro Gallery on International at 26th Avenue, a venture by local artist Paco Excel. 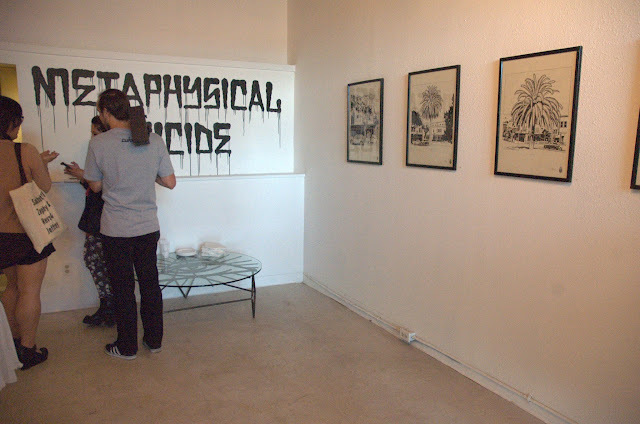 The showing is of work by Mike Giant, titled "Metaphorical Suicide". Stop by and check it out! There are works for sale, too.